Sourcing and refurbishing original vintage, retro, and mid-century modern furniture back to it’s original beauty, ready to furnish your home! Specialising in furniture from the 1950’s, 1960’s, and 1970’s, but stocking everything from chairs, coffee tables, sideboards, desks, and chest of drawers, to light up signs, football tables, and giant taxidermy lobsters! All of our stock is refurbished to a high standard in house, and we only ever list pieces once they are in a condition that we would be happy to display in our own homes. Based in Brighton and offering a free local delivery service, but regularly arranging couriers to London and now nationwide. We also offer a bespoke restoration service for vintage, retro, and mid-century furniture. Just send us a photo of the piece you would like restoring for an estimate. Equally if there is a particular piece that you are after that we do not have in stock, feel free to contact us with the details and we will do our best to source it for you. Two friends from Brighton with a passion for beautifully designed, quality vintage furniture and retro furniture. Simon and Sam started ‘Era’ in 2014, sourcing vintage furniture with a focus on mid-century design and eye catching collectibles. We love the unique and unmistakable simplistic designs of the likes of Ercol, G Plan, Stag and Ladderax and always have to resist taking our stock home with us at the end of each day. We started trading online in 2014, largely selling to residents of Brighton and London, but we have since gone on to sell on a national scale. 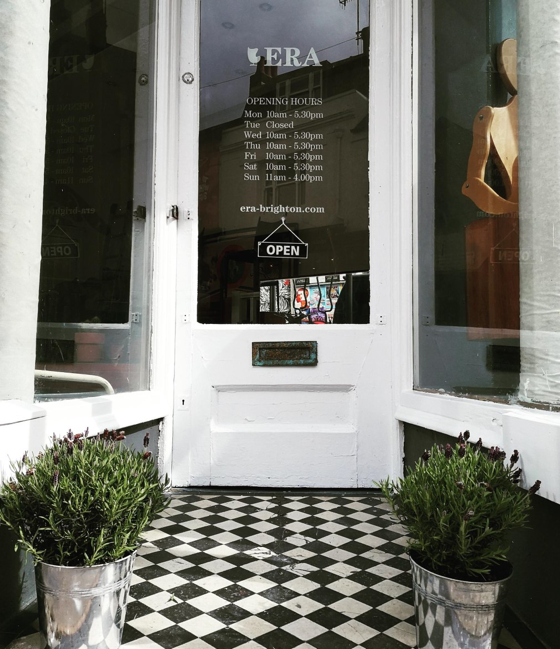 In November 2014 we opened up our first retail outlet in Brighton’s North Laine.